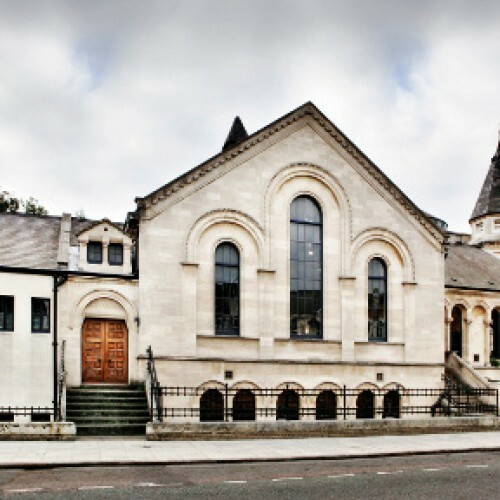 Located on the corner of Powerscroft Road and Lower Clapton Road, the Old School Rooms are historical Church rooms in the heart of Clapton We have several rooms of different sizes available for your function. 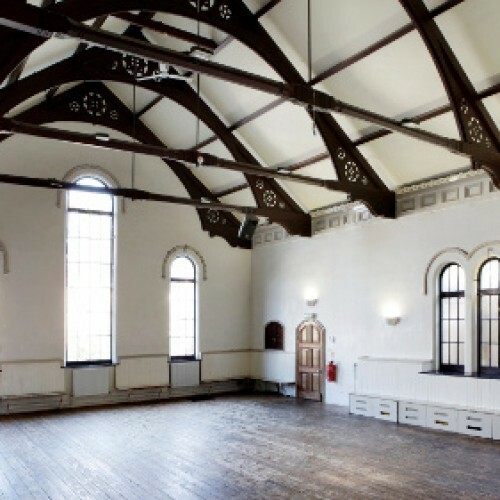 The Hall (capacity up to 150): With exposed beams and vaulted ceiling, the Hall is a lovely large space and can be easily adapted for multiple uses, such as for lectures and public meetings, exhibitions, church services and community gatherings, yoga, aerobics and dancing classes, wedding receptions, parties and banquets. 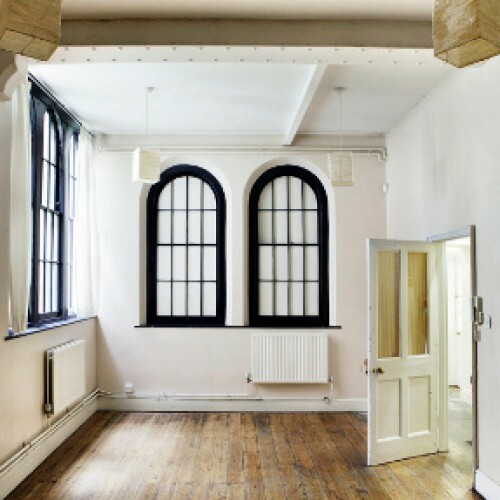 It has a beautiful wooden floor and lots of natural light, and can be hired empty, or with a range of furniture and equipment. 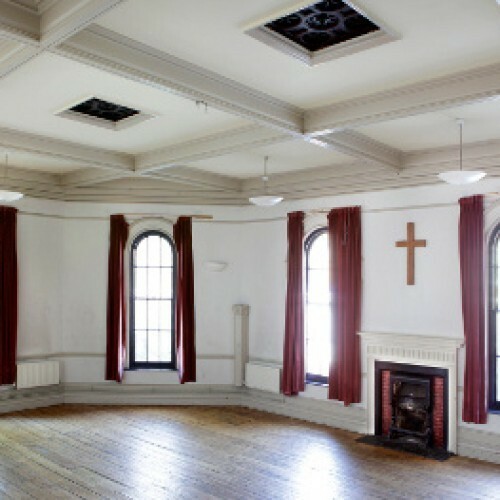 Church Room (capacity up to 75): Christian groups have been meeting in the Church Room since 1871, and it is available for regular worshippers, prayer groups and choirs as well as wedding ceremonies, workshops, meetings and training days. The room is also well adapted for conferences and board meetings. Meeting Room (capacity up to 25): This is an excellent meeting space for user groups and housing associations, meetings, workshops and training days, and neighbourhood or special-interest groups. Great for after-school classes or Saturday school use. Kitchen: A semi-professionally equipped kitchen, available for hire with any of the Old School Rooms, or with the Round Chapel. Office Space: We have small offices and desk space for lease by local artists, photographers, designers, etc... 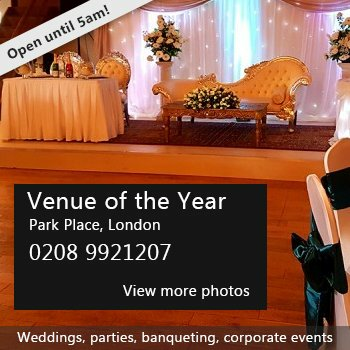 AVAILABLE FOR WEDDING RECEPTIONS, RELIGIOUS CEREMONIES, CELEBRATIONS, EXHIBITIONS, WORKSHOPS, EXERCISE CLASSES, and more! Availability: Available weekdays, weekends, evenings and public holidays. Please note, the venue is not available for hire on Sundays. Hire Costs: Please enquire for rates. There have been 0 reviews of The Old School Rooms. If you would like to send The Old School Rooms a booking enquiry, please fill in the form below and click 'send'. Perhaps some of the following halls within 5 miles of The Old School Rooms would also be of interest?